March 25 is Revolution Day, celebrates the declaration of the start of Greek War of Independence from the Ottoman Empire, in 1821. From the eighth century BC, the Greeks were organized into various independent city-states, known as polis, which spanned the entire Mediterranean region and the Black Sea. Philip of Macedon united most of the Greek mainland in the fourth century BC, with his son Alexander the Great rapidly conquering much of the ancient world, spreading Greek culture and science from the eastern Mediterranean to the Indus River. Greece was annexed by Rome in the second century BC, becoming an integral part of the Roman Empire and its successor, the Byzantine Empire, wherein the Greek language and culture were dominant. The establishment of the Greek Orthodox Church in the first century AD shaped modern Greek identity and transmitted Greek traditions to the wider Orthodox World. In the late eighteenth century, an increase in secular learning during the Modern Greek Enlightenment led to the revival among Greeks of the diaspora of the notion of a Greek nation tracing its existence to ancient Greece, distinct from the other Orthodox peoples, and having a right to political autonomy. The Greek Revolution, also known as the Greek War of Independence, was declared on March 25, 1821. It was a successful war waged by the Greek revolutionaries. The Greeks were later assisted by the Russian Empire, Great Britain, Bourbon France, and several other European powers, while the Ottomans were aided by their vassals, the Eyalets of Egypt, Algeria, Tripolitania, and the Beylik of Tunis. Greece was finally recognized as an independent nation in the Treaty of Constantinople of May 1832. Greece is strategically located at the crossroads of Europe, Asia, and Africa. Situated on the southern tip of the Balkan peninsula, it shares land borders with Albania to the northwest, the Republic of Macedonia and Bulgaria to the north, and Turkey to the northeast. 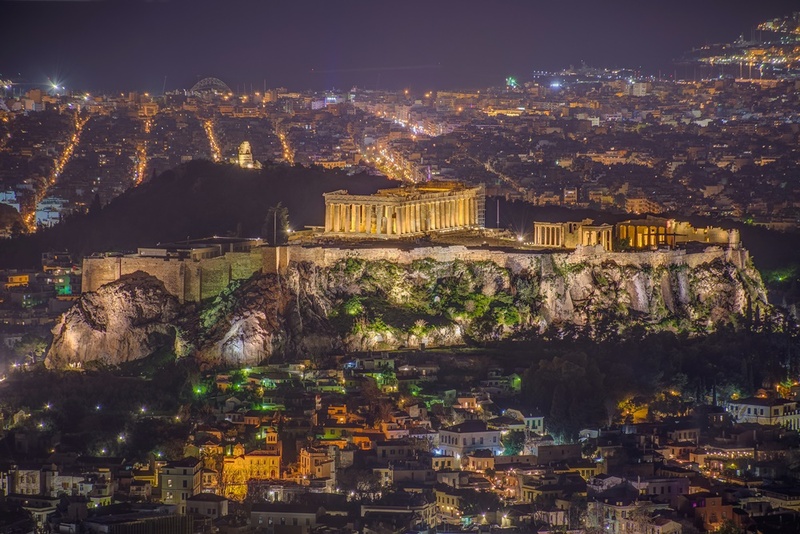 Also Greece is considered the cradle of Western civilization, being the birthplace of democracy, Western philosophy, the Olympic Games, Western literature, historiography, political science, major scientific and mathematical principles, and Western drama.